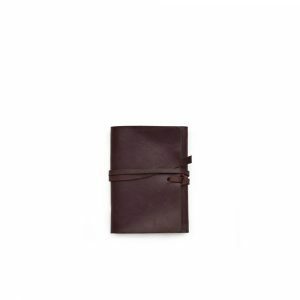 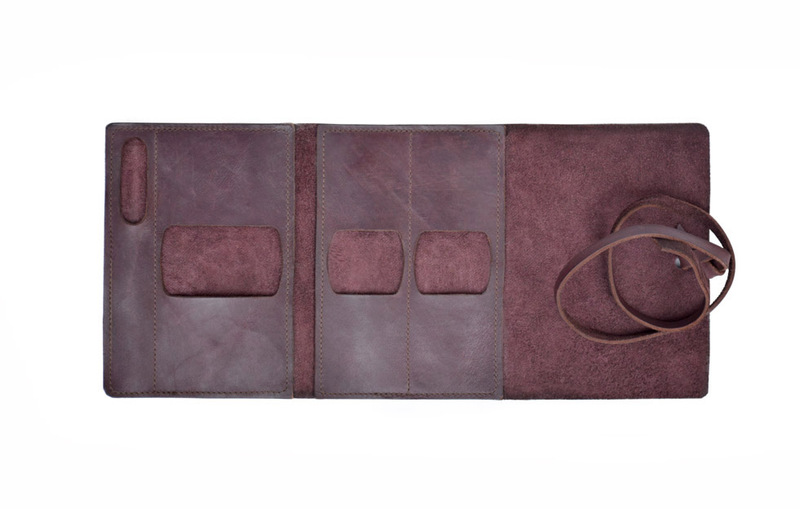 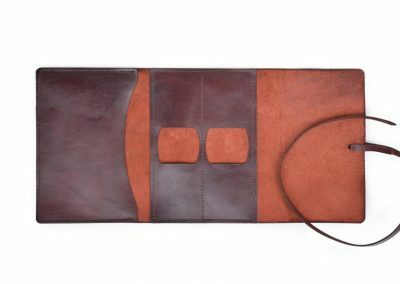 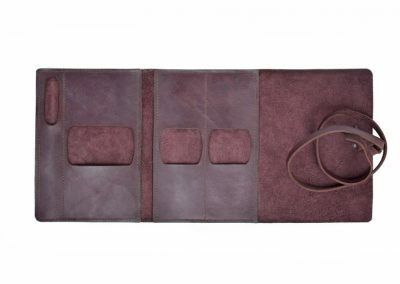 This elegant leather travel pouch features a simple wrap over cover and lace closure. 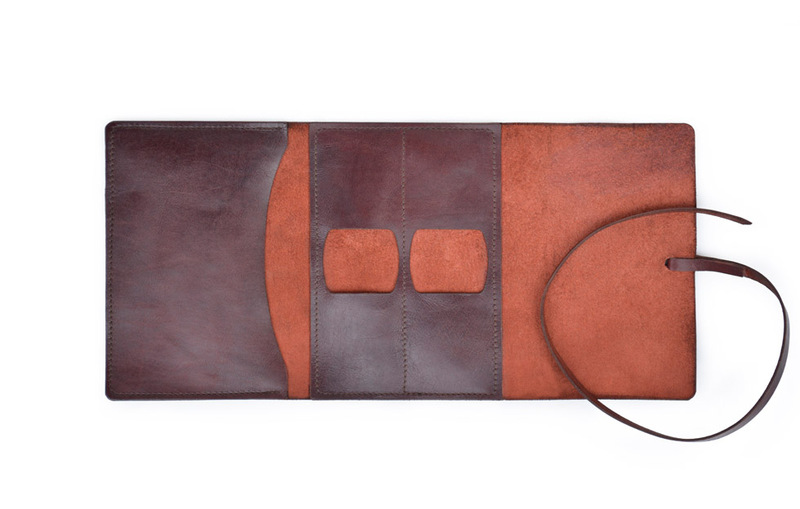 Select from two styles. 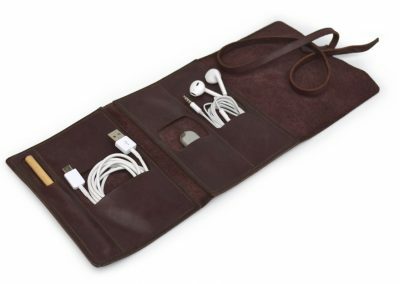 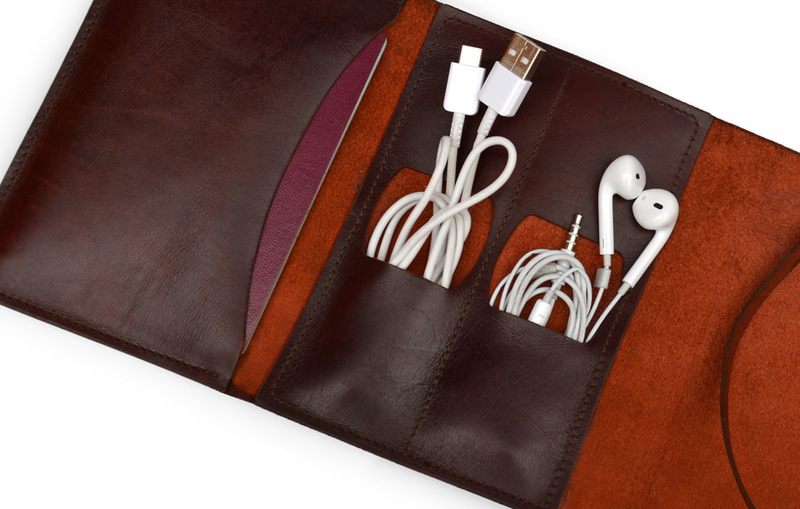 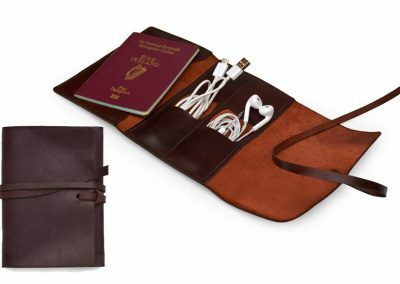 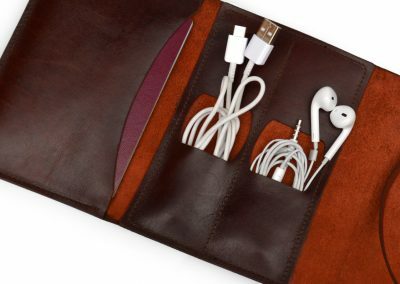 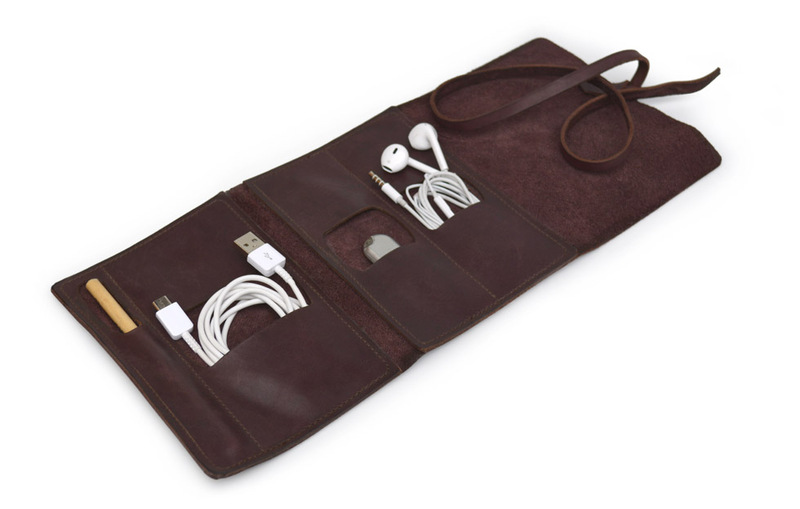 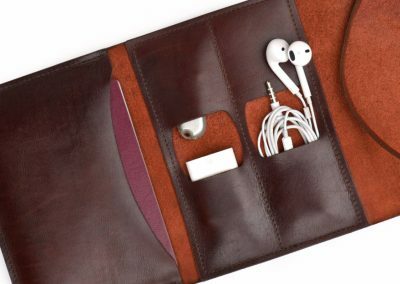 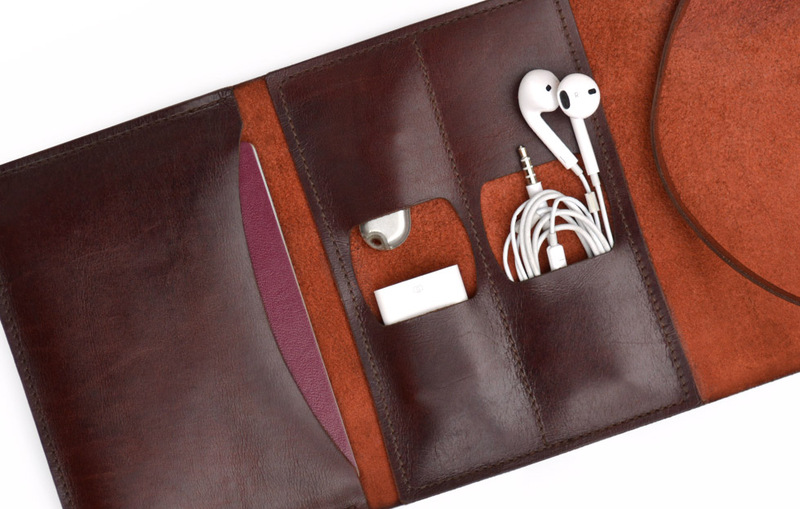 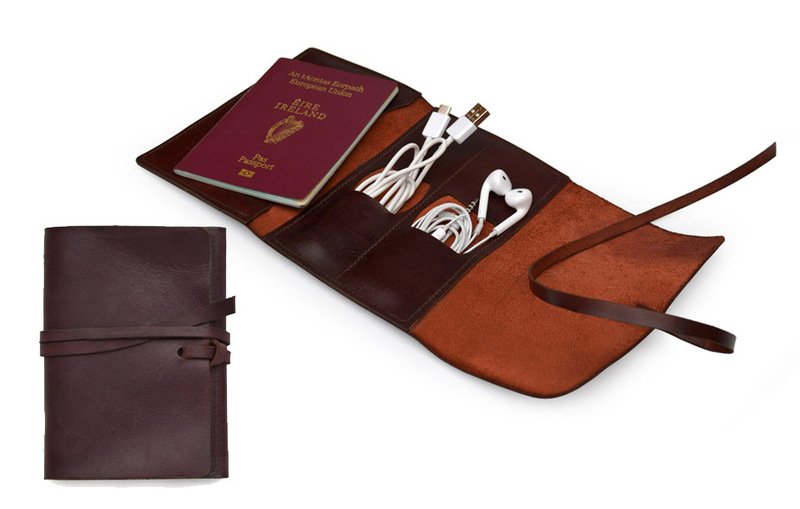 This is the perfect travel carrier for your phone cable, headphones, memory stick, pen and even your passport.